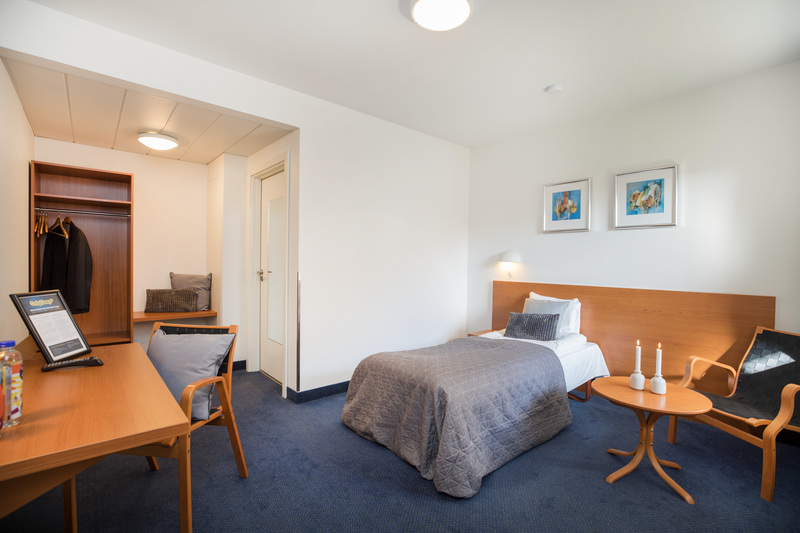 If you’re travelling alone, our single room is the obvious choice. All our single rooms are spacious and with modern bathroom facilities. In the single rooms you will also find a desk, large cupboard for storage and a TV so you can relax while watching the news or a good film in the very comfortable beds. Of course, there is also free Wi-Fi/broadband in all rooms. You can find the name of the network and code for the Wi-Fi in the provided key card holder.